Long before Deadpool set the box office on fire with a record breaking opening weekend of $132.4 million, the highest ever for an R-rated movie, there was already talk of Deadpool 2. Rumors surfaced that the studio was planning on swapping out their planned Fantastic Four 2 sequel in favor of a Deadpool follow-up. After becoming the highest grossing R-rated movie ever, we know the sequel is coming, but we don't know exactly when. During the Saturn Awards last night, however, producer Simon Kinberg dropped a big hint. Collider caught up with producer Simon Kinberg, who revealed that original Deadpool writers Rhett Reese and Paul Wernick are finishing up work on the script. Unfortunately, he wouldn't divulge any story details. But he did say when they hope to start shooting. "The guys are working on the script and we hope to have a script very soon. We hope to shoot the movie sometime in the beginning of next year." 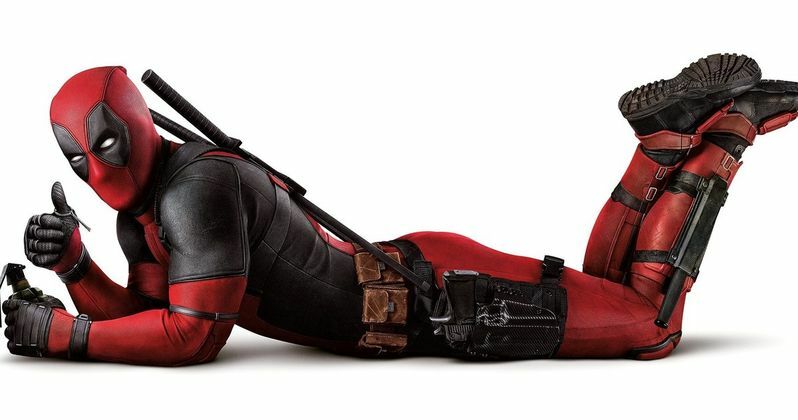 Along with writers Rhett Reese and Paul Wernick, director Tim Miller is returning to the helm, along with Ryan Reynolds. There had previously been reports that the studio was looking to start filming the sequel as early as this fall, but that was never confirmed. Aside from Ryan Reynolds as the title character, no other cast members have been confirmed quite yet. One of the big mysteries heading into the sequel is who will play Cable. During the post credit sequence of Deadpool, Ryan Reynolds came out to reveal that Cable will be in Deadpool 2, while joking that actors such as Mel Gibson, Dolph Lundgren and Keira Knightley might take the role. But we haven't heard who will play this character quite yet. Actors such as Stephen Lang, Dolph Lundgren, Ron Perlman and WWE wrestler Adam Copeland, a.k.a. Edge, have been expressing their interest in the role in recent months. A rumor surfaced in February that the sequel will also introduce Marvel Comics character Dominio as Cable's love interest. But that hasn't been confirmed either. Bella Thorne also recently revealed that she'd like to play Lady Deadpool. It's possible that this sequel could tie into another X-Men spinoff, X-Force, which has been in development for the past few years with writer-director Jeff Wadlow. We still don't know when that project is moving forward. The studio is also developing The New Mutants, which has been rumored to feature Deadpool star Brianna Hildenbrand as Negasonic Teenage Warhead.